News about Boston, historical events, Boston by Foot tours. One of Boylston Street’s High Victorian Gothic buildings is easy to miss, tucked as it is on a crowded block between Tremont Street and Washington Street. 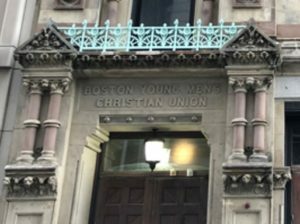 The Boston Young Men’s Christian Union does its best to flaunt its polychromatic splendor and one can appreciate it by stepping back and looking up. At ground level, though, it’s easy to walk past this intriguing building on a block crowded with less original structures. Still, it catches the eye. You just can’t keep these old Victorian dandies down. 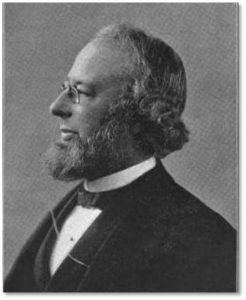 A group of Harvard students founded the BYMCU in 1851 when Unitarians were excluded from the Boston YMCA, which was at that time an evangelical organization. The BYMCU was originally a religious study group that, over time, evolved into a social, intellectual, and religious organization for men. The began in a location on School Street. The organization decided to construct its own building in 1873 and raised $270,000, which is equivalent to $5,719,087 today. That makes the founders fairly generous–not to mention well to do. They turned to Nathaniel J. Bradlee for the building’s design. Nathaniel Jeremiah Bradlee grew up in downtown Boston on Avon Place (now Avon Street), a short street that runs from Washington Street, opposite Temple Place, to nearby Chauncy Street. Upon his graduation from the Chauncy School, his only formal education, he was hired as a draftsman by George Dexter, who was then working with Edward Clarke Cabot on the Boston Athenaeum building on Beacon Street. As President of the Boston Water Board, he oversaw the laying of 48 miles of new pipes and the construction of the Chestnut Hill Reservoir. He also designed the Cochituate Standpipe in Roxbury’s Highland Park. (Open to climbers on May 5 from 3:00 to 5:00 pm) Nathanial J. Bradlee was a man of many accomplishments and he made significant contributions to the city of Boston. His biography is well worth reading. 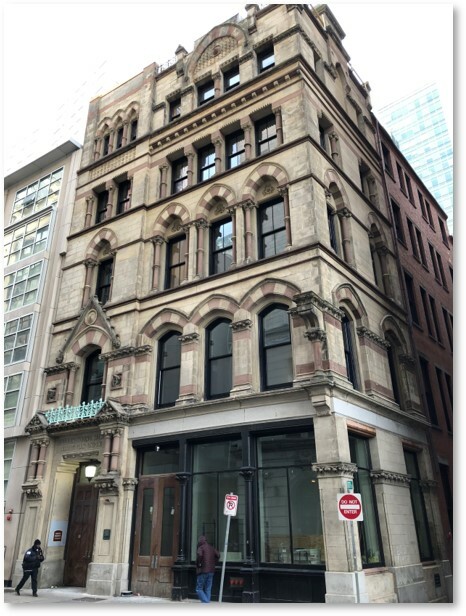 The BYMCU remains the best example of High Victorian Gothic architecture in Boston’s Central Business District. I have seen multiple construction dates, including 1873, 1875 and 1872 but 1875 appears to be the best date for completion of the original strucure. 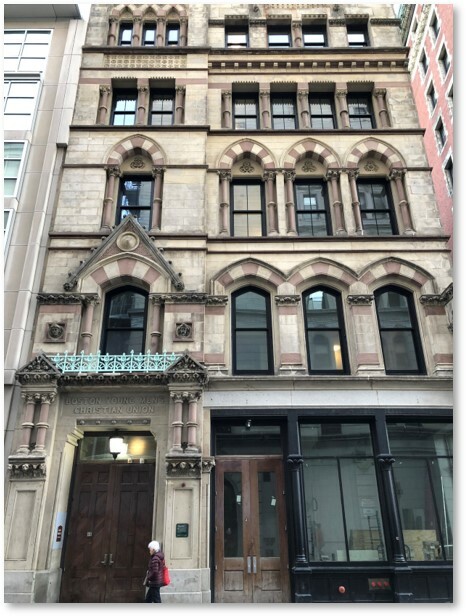 The Boston Young Men’s Christian Union building t is actually much larger than it appears thanks to additions in 1883, 1911, and 1956. It now extends at the rear into an irregular L shape. Those simpler brick structures do not match the original, elaborate Boylston Street façade. Walking past them, you would never know the larger buildings are connected to the Young Men’s Christian Union at all. The organization’s name appears above the front door carved in a simple sans-serif typeface that is totally unlike Gothic script. The building deteriorated in part due to its proximity to the old Combat Zone. A complete structural renovation in 2003 included major changes to both the exterior façade and interior facilities and finishes. From the renovation until 2011 the building was called the Boylston Street Athletic Club, and was later known as the Boston Union Gym or BYMCU Athletic Club. In 2017 St. Francis House, in partnership with the Planning Office of Urban Affairs, purchased the building with the vision of creating 46 units of affordable housing, a social enterprise creating employment training and new jobs for homeless individuals, and revitalizing the neighborhood! Websites show the renovation underway but there is little sign of completion from the front door. Ground-floor retail space remains, unfortunately, empty and that gives the building a somewhat forlorn appearance. 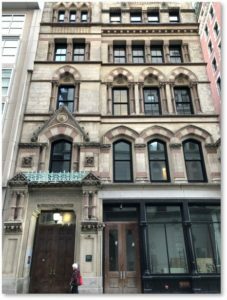 The Boston Landmarks Commission designated the building at 48 Boylston Street as a Boston Landmark in 1977 and it was added to the National Historic Register in 1980. The man described by the Boston Globe as “one of the most successful men” of his era suffered a fatal stroke on a business trip at only 59 years old. Nathaniel J. Bradlee is buried in Mount Auburn Cemetery. Unlike many of his other structures, the Boston Young Men’s Christian Union abides.